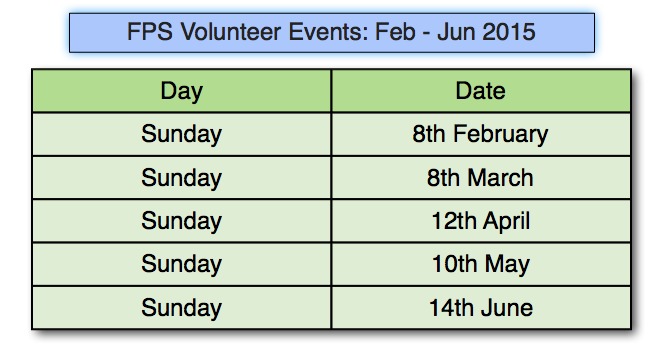 The next volunteer event is a week this Sunday, 8 February 2015. “The task will be directed at reducing holly growth in the woodland fringes around Guildford Road access point. Holly develops thick cover which shades out the diversity of ground flora so it needs to be thinned to maintain the diverse ground plant life. Holly is also (as you know) very prickly stuff to handle so please ensure your arms are covered and avoid scratching your (or anyone else’s) face. There are some people who react to holly scratches with a rash so care is important. Please register with Rachel well in advance of the day to ensure we load enough tools, email countryside@hart.gov.uk or phone 01252 623443. Rachel is a busy ranger, so the sooner she can compile her list the happier she is. A reminder will be given on this blog next week and some information on the previous task (in January) is available here. Please click to expand – it’s worth it! I recently came across the picture above on Flickr. It was taken by Dineshraj Goomany and is part of his Fleet Pond Album. When friends visit and I take them round the Pond for the first time, they’re always surprised how big it is. I think the word ‘pond’ often makes people think of a duck pond or similar! Getting a good impression of the size of the Pond is tricky but the panorama shot above does it really well. The clouds and their reflections are very impressive too. 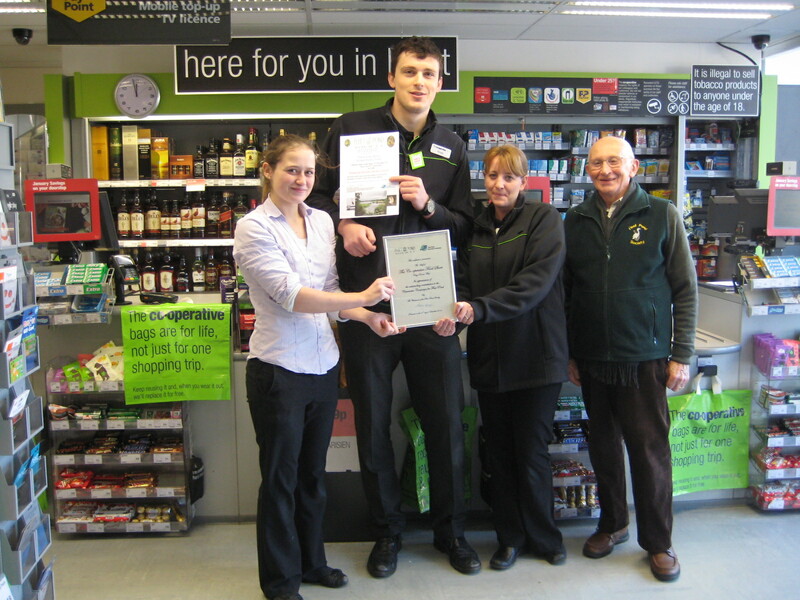 The Chairman of Fleet Pond Society (FPS), Colin Gray, was pleased to present a certificate to the manager and staff of the Co-op Shop in Kings Road, Fleet in gratitude for selecting FPS as their charity for 2014. During the year the boxes raised a princely sum of £550.53 for the Clearwater Campaign to provide further benefits for the visitors to Fleet Pond Nature Reserve. 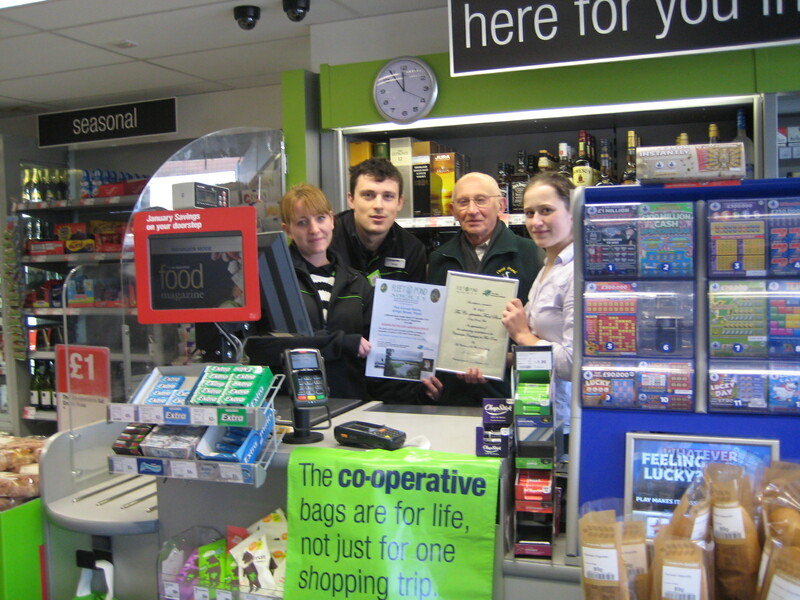 Colin said: “FPS is very grateful to the Co-op Shop for selecting us as the charity for the year and would like to express our sincere thanks to all the Co-op customers who have generously donated this very welcome addition to our funds”. 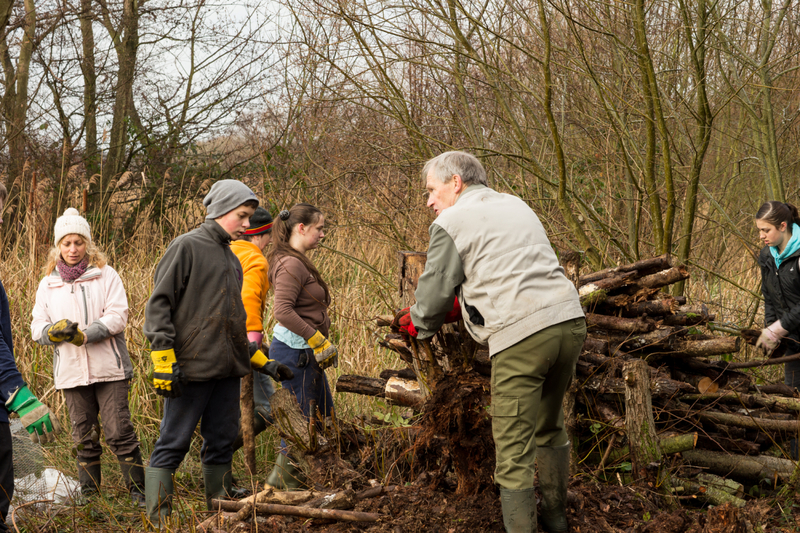 There will be a volunteer event this Sunday, 11 January at Fleet Pond. “Wishing you all a very happy New Year. I hope you had an enjoyable Christmas. The task for Sunday 11th January will be back on the Dry Heath, near the reserve car park. More birch to cut and clear and lots of cut material to make a sizeable bonfire! 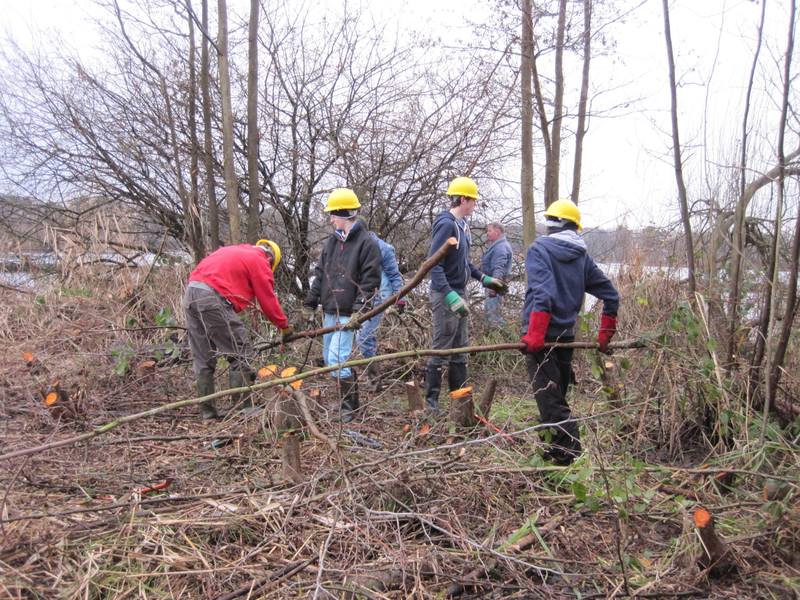 Out of interest, here are some pictures of a similar volunteer event from January 2014. 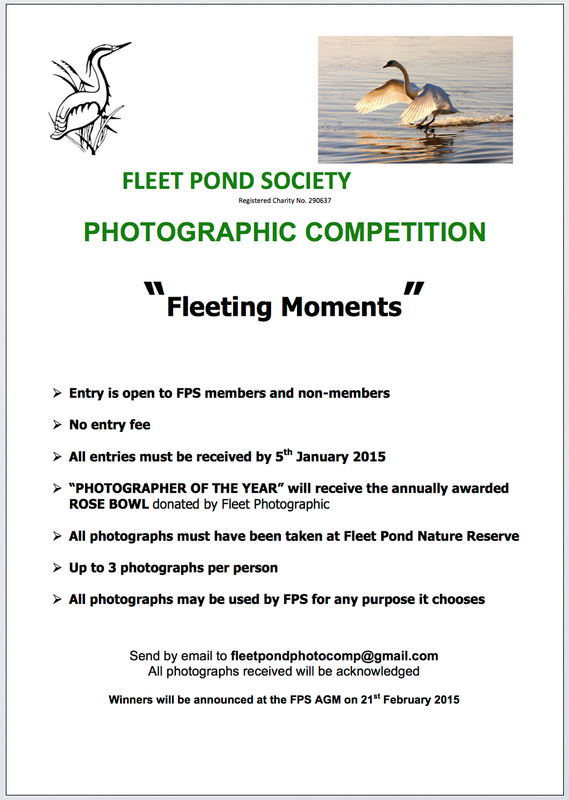 There’s a few days left to go through your photos and decide which may be good entries to send in (theme is ‘Fleeting Moments’) or else there’s still one weekend to go round the Pond and capture that special picture! A slideshow of the winners from last year can be found here. You are currently browsing the Fleet Pond Blog blog archives for January, 2015.